Hi! 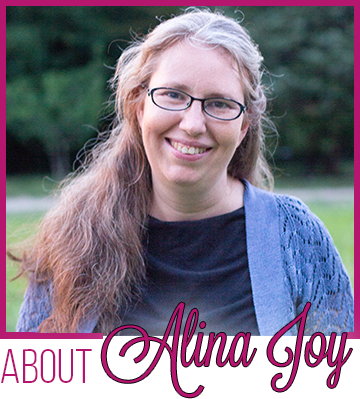 I’m AlinaJoy Dubois… Healthy Eater, Happy Wife, and (Very!) Busy Mom of 5 sweet children. (Well, 3 sweet ones and 2 adventurous ones!) Once upon a time, I didn’t spend very much time thinking about what or how much was in my pantry. After all, if I needed something, I could just run out to the store and get it. But then we started having babies and we moved out into the country. It wasn’t very convenient to run to the nearest store (30-minutes-away) with a couple of toddlers in tow. I needed a plan. I also realized that I knew nothing about what I was eating and what I was feeding my family. I thought I was making healthy choices, but when I read the nutrition labels on the back of what I was buying, I was confronted with ingredients I couldn’t pronounce and names I had never heard of. I couldn’t be exactly sure how healthy our diet actually was. Knowledge is power, and I needed more knowledge. And then my husband went through a career change and our food budget plummeted to a mere $140/month. That’s right… per MONTH. It was really important to me to feed my family a whole-foods diet. The people around me said, “You can’t possibly feed 5 people healthy food on that kind of budget,” but I HAD to. 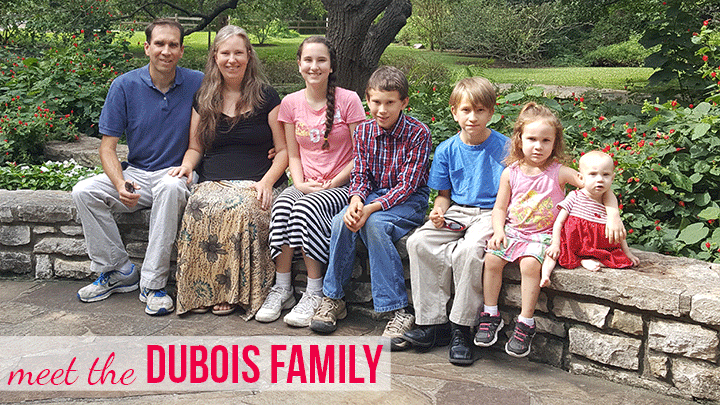 I needed to know that it was possible to feed my family healthy food, despite our circumstances. I needed encouragement. It took a little time, but I got creative and I learned how to make a dollar stretch at the grocery store until it begged for mercy. We didn’t have a garden in those days but we still ate really, really well (usually organic), and on an unusually tight budget. It IS do-able. 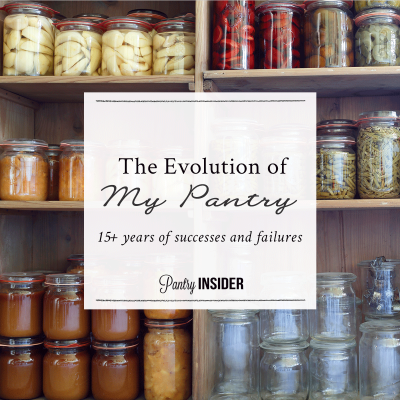 Here at Pantry Insider, I show you how. Today, our family has grown and so has our budget. 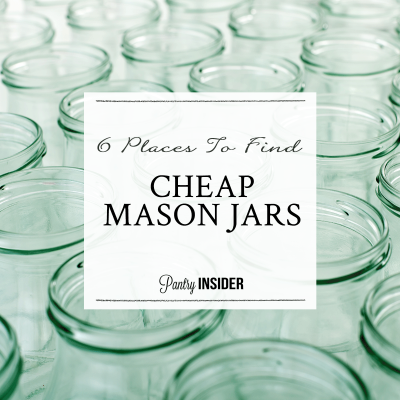 The goal is no longer to spend as little as possible at the grocery store (although we still spend considerably less on food than you would think). The goal is to nourish my family with the best foods possible. I want my family to have good food, good health and a good life. But that isn’t as easy as it sounds! There’s so much conflicting information “out there!” Between ingredients we can’t pronounce, conflicting scientific studies in the news and so many diets being touted as the healthiest choice for our children… How’s a Mama to sift through it all? How’s a busy Mama supposed to get healthy food on the table without spending all day on the internet researching it or in the kitchen preparing it? On this site, I hold nothing back. 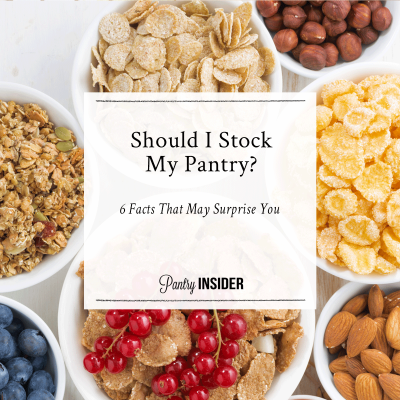 I show you all my tips and tricks for keeping your pantry well stocked with real, whole foods. 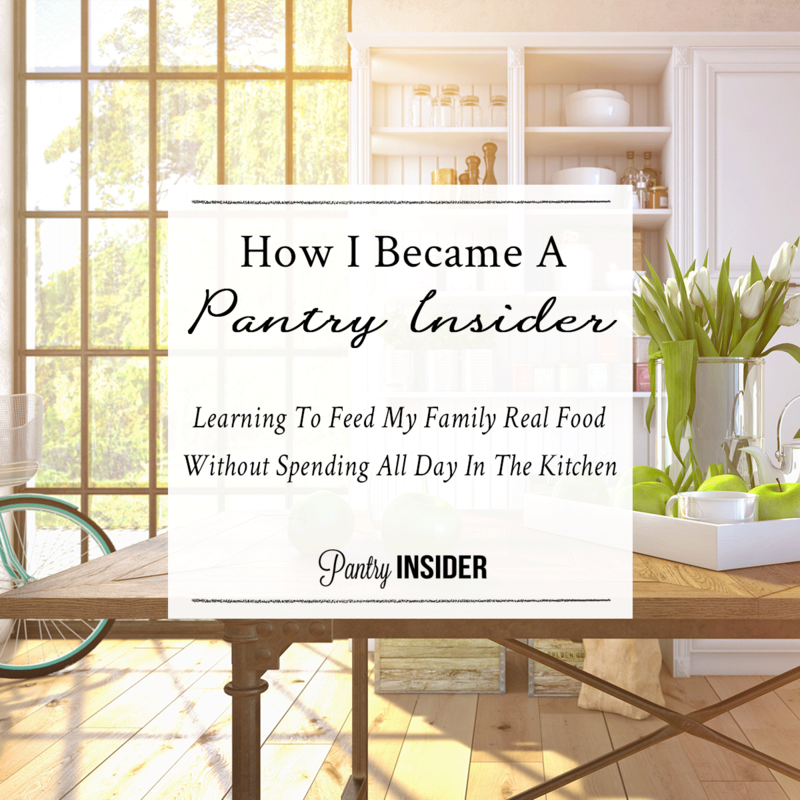 Join me and learn to confidently feed your family real food, without breaking the bank or spending all day in the kitchen, preparing it. See this good-lookin’ group of people? This is my family. And let me tell you something. These folks can EAT (including that little one at the end… don’t let her size fool you)! I did the math the other day and realized that we go through almost as much food in a month as most single Americans eat in an entire year. So when it comes to keeping a pantry stocked full of real, healthy food, I’m your gal. 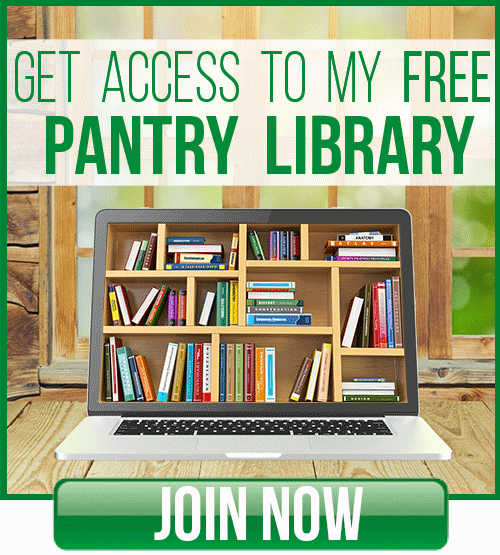 First, you’ll want to sign up for our Free Resource Library. This is an ever-growing collection of my best tools to help you. In the library, you’ll find free downloads and links to super-helpful articles. You’ll receive weekly emails from me sharing what’s in season, what’s on sale and anything else going on that you need to know. Don’t miss our Free Email Challenges! We also have a terrific newsletter with all kinds of tips, tricks, missions and behind-the-scenes peeks that don’t get mentioned on the blog! Click here to subscribe. 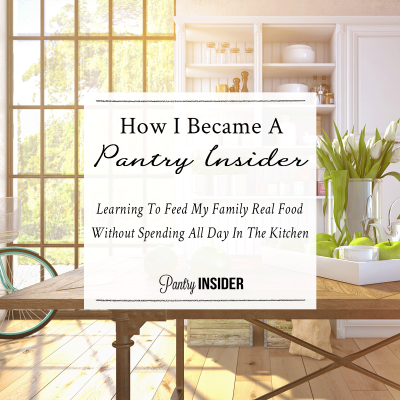 All the fun and chit-chat happens in our Facebook Community Pantry Insider Secrets so make sure you join us there, too!